GoFleet Attending This Years National Heavy Equipment Show! 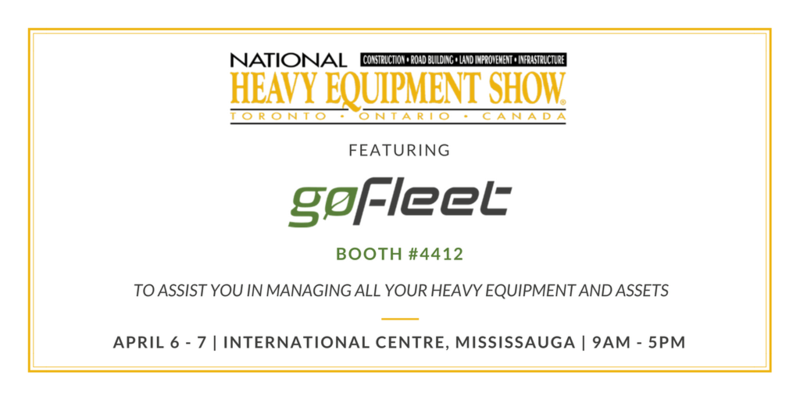 We’re happy to announce that GoFleet will be participating in this year’s National Heavy Equipment Show! Taking place from April 6-7th, this must-attend event is a showcase of the leaders in the heavy equipment, road building, construction, snow removal, aggregates, and related sectors. This year at our booth, you can expect to see all of our latest products such as Lone Defender and GoRugged, meet with our knowledgeable team, and discover how to streamline your business operations and keep your workers safe. You’ll also have an opportunity to enter our contest to win an iPad! Contact [email protected] and we’ll be happy to send you a free pass!